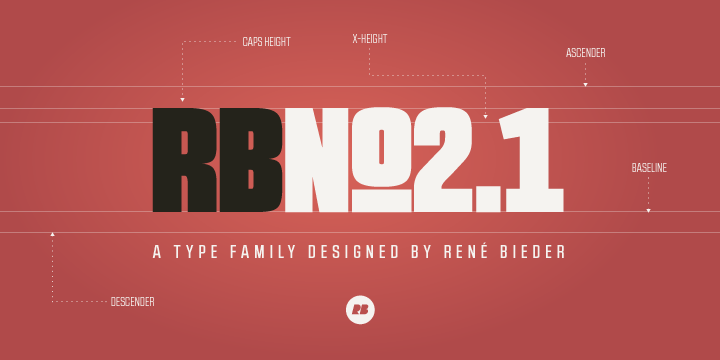 RBNo2.1 is a typeface created & published by Rene Bieder. You will find 2 versions (RBNo2.1a & RBNo2.1b) perfectly for catalogs, posters, websites headlines and logos. A font description published on Tuesday, October 30th, 2012 in Fonts, Rene Bieder by Alexandra that has 6,761 views.